10 Times Anthony Bourdain Ate EXOTIC FOOD! Anthony Bourdain was widely regarded as one of the most influential American chefs around the globe. Along with his successful career as a restauranteur, Bourdain found fame as a television personality traveling to international, and at times dangerous, cities to sample their unique dishes and culture. Throughout his journeys Bourdain proved that he had a stomach of steel, never backing down from a taste test challenge. Anthony Bourdain was a world-renowned chef, author and TV personality. We all loved his funny and bold sarcasm. For this list, we’re explored some of the most memorable on-screen moments of the influential chef and television host. Our list includes moments such as when he had dinner with Barack Obama on CNN. With that in mind, let’s take a look at the top ten times when Anthony Bourdain ate exotic food! 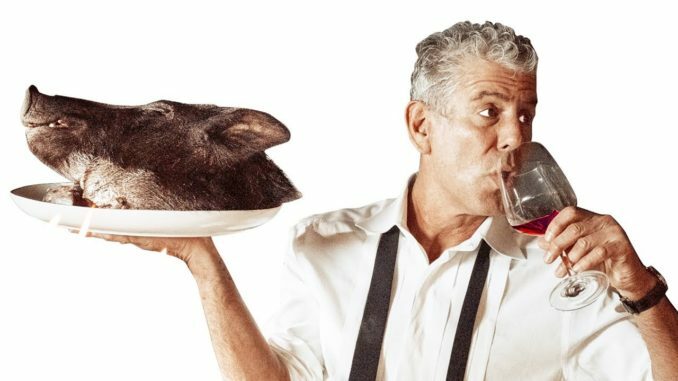 Anthony Bourdain is an adventurous eater that won’t back off from trying ANY food, no matter how it looks …or smells!